Apologies for the long break between posts, juggling a toddler full time with freelance projects and the blog whilst heavily pregnant is making life interesting! 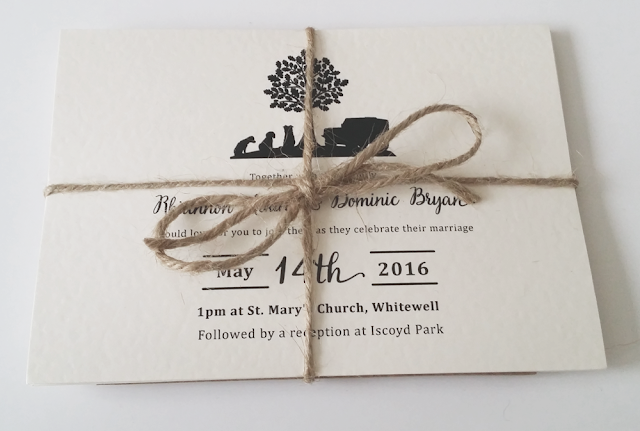 Here's a recent wedding invitation I did for happy couple Rhiannon and Dom. 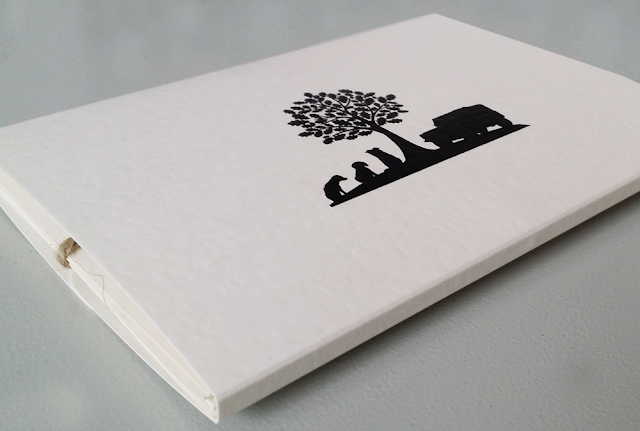 Whilst developing the brief it became clear they were both mad about their dogs, and also their landrover! 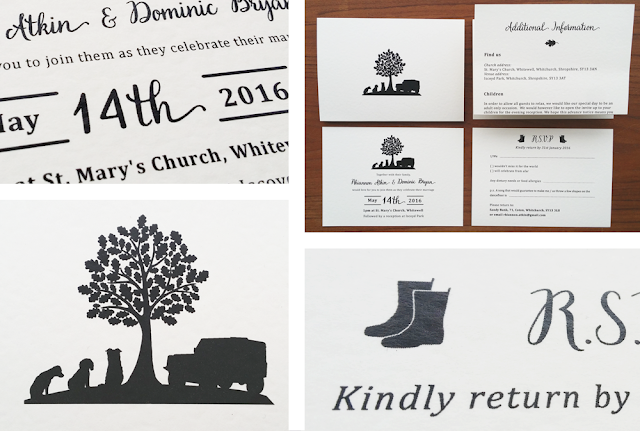 They really wanted the dogs (and the landrover) to appear on the invitations, and the whole thing to reflect their country lifestyle complete with rustic, natural vibes. Having experimented with several pastel palettes, they decided in the end to go with a classic black and white, with some tactile brown twine and natural recycled envelopes. We printed onto Conqueror Oyster Hammered stock, to add texture and tie in with the whole theme. Designing a bespoke motif that was so personal to Rhi and Dom was lots of fun, tweaking the shapes of the dogs ears and poses to make sure they looked their beloved pets! Other little images of wellies, flowers and leaves completed the look. I believe the dogs are going to be present at this beautiful country wedding next Spring, complete with flower garlands. Perfect! Their bouquets are thoughtful and elegant. Truly a neighborhood gem. The prices are very reasonable. Definitely recommend paying a visit if you need to Deliver Flowers around.